While superlatives strive to convey the grandeur of Alaska, they never quite manage to capture the reality. 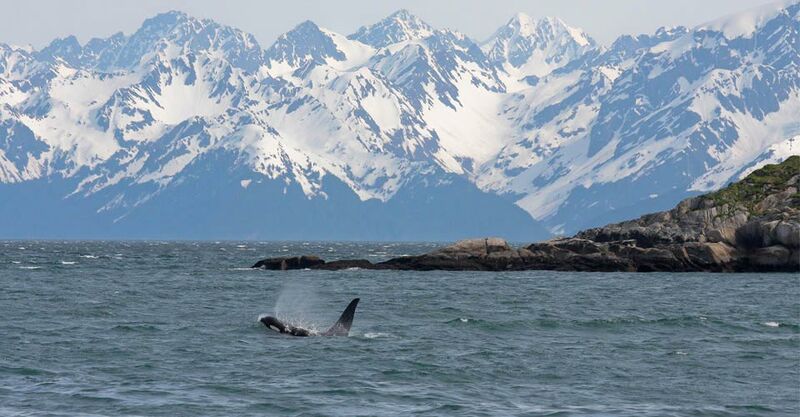 Our Ultimate Alaska Wildlife Safari does, though. In the company of some of Alaska's top naturalist guides, we take you farther afield from the most heavily touristed routes and into a genuine Alaskan wilderness adventure. Experience the silent inner heart of Denali, where grizzlies and caribou roam the tundra. Cruise to the face of a calving glacier and look for whales and otters among the icebergs on a private chartered boat cruise in Kenai Fjords. Along the Brooks River in Katmai National Park, watch giant brown bears fish for salmon. This is Alaska “less discovered”: bigger, wilder and more enthralling than you ever imagined. You’ve got to experience it for yourself! With a maximum of 14 guests, you’ll enjoy plenty of space on our vehicles, the full attention of our guides, and, most importantly, more personal nature experiences you simply can't get as part of a large bus tour group or aboard a huge cruise ship with thousands of other passengers. It's a totally different way to discover Alaska! Our meticulously crafted Alaska itinerary has been designed in conjunction with WWF for close-up wildlife viewing, and we've enhanced it annually for more than 25 years. This is our flagship Alaska adventure, in which we take great pride! We journey 90 miles into the wild heart of Denali National Park where we overnight at a comfortable, well-appointed backcountry lodge, for a genuine wilderness immersion far away from crowds. Most visitors ride packed shuttle buses and see little beyond the park entrance. There's truly no comparison! View glaciers, icebergs, whales, seals, otters and birdlife in Kenai Fjords National Park aboard our private chartered yacht, rather than from the crowded deck of an excursion boat or a cruise ship carrying thousands. Overnight on private Fox Island in Kenai Fjords. It's a rare experience of genuine solitude in the Alaskan wilderness. From our remote luxurious base at Alaska's Gold Creek Lodge, fly by floatplane to world-famous Brooks Falls in the heart of Katmai National Park for close-up views of Alaskan brown bears (the world's largest coastal grizzlies). You’ll never get this experience via a cruise ship or tour bus! At the falls, as many as 50 bears may be on view as they fish along a 1.5-mile stretch of the Brooks River during the salmon run. Natural Habitat Adventures is renowned for employing the finest naturalist guides on the planet! Our Alaska Expedition Leaders average more than 15 years’ guiding experience each and receive additional training from top WWF scientists. Expedition Leaders remain with our private groups throughout their entire adventure. They are not “ship lecturers” or lodge-based guides who see different travelers every day. Rather, they are the Alaska’s most qualified, dedicated and passionate natural history guides, regaling our guests with their insights into the region while remaining close at hand to ensure safety and comfort in every respect. See Expedition Leader bios and traveler comments regarding the quality of our leaders. Fill out the form below to receive additional information about our Ultimate Alaska Wildlife Safari. Hi Nat Hab, I’m interested in your Ultimate Alaska Wildlife Safari. Can you please contact me with more information?